Going somewhere? Start your trip with Seattle Gay News. Our newest special travel section is now online at www.sgn.org - just click on the travel icon with "BOSTON" in giant letters. Our latest travel spread contains exclusive features on Boston, Austin, Vancouver BC, Whidbey Island, and Portland. Let us tell you about great places at these destinations to stay, eat, mingle, and relax. 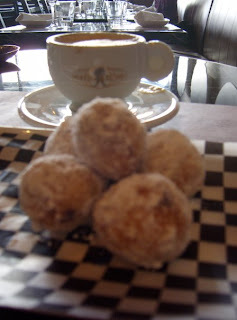 Pictured: Mini fritters with white chocolate dipping sauce at Trattoria in Vancouver BC. He's one of the hottest rock stars on the planet, and he's ours this week. 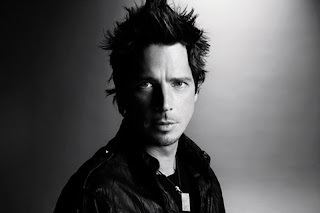 Chris Cornell is featured in an exclusive interview with Seattle Gay News (April 24 issue), in which he recalls the early days of the grunge scene in the Emerald City and speaks bluntly about being hit on by men. The Soundgarden and Audioslave frontman released his third solo album this year entitled Scream, a collaboration with hip-hop giant Timbaland. The project adds to Cornell's career resume, which also boasts Grammy winner, Bond theme composer, John Varvatos model, father of three, restauranteur, and head-to-toe hottie. Get to know Chris Cornell in our interview by clicking the link below - this marks the second interview he's given us in back to back years. We love you Chris! Whatever you do, don't leave town on 4th of July weekend! Grammy-winning, gay-friendly trio Green Day will launch its upcoming tour in Seattle on July 3. Ticket details coming soon, so stay glued to Seattle Gay News for more news. The band is currently set to release its eighth studio album 21st Century Breakdown featuring the single "Know Your Enemy". More on Green Day soon. Hi, it's Albert Rodriguez at Seattle Gay News on a beautiful spring morning (just watched a fab Kathy Griffin special on Bravo). Today is national Record Store Day, when we show our support to independent record stores like Easy Street Records, Sonic Boom, Silver Platters and Cellophane Square - or whatever is in your neck of the woods. It's not that we don't like the corporates, it's just that we want the small retail stores to survive along with the big ones. If there's a CD or music item you've been waiting to buy, please purchase it today at one of the above listed stores. There are some really great new releases by Neko Case, Yeah Yeah Yeahs, and Silversun Pickups - or maybe an authentic Seattle record shop T-shirt for out of town friends. 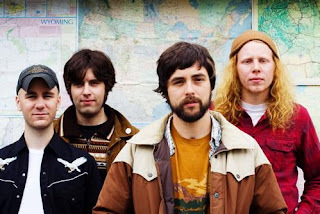 At Easy Street Records today, local rock group the Moondoggies (pictured) will perform at the Queen Anne location at 5pm. Show your support of independent record stores today, April 18!